Over the next couple of weeks, I’ll be sharing a series of printables I created for our ward’s New Beginnings this year. 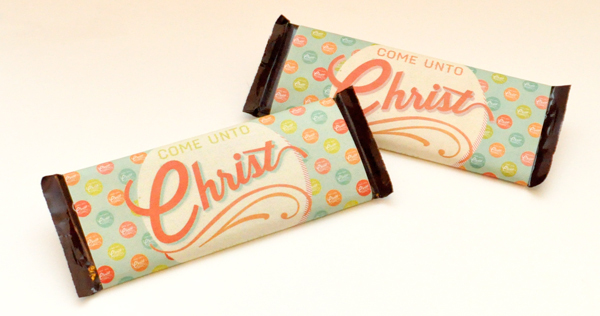 We wanted to use social media as a springboard for our theme and came up with Focus on Your Innergram: Come Unto Christ, incorporating the 2014 Mutual Theme. This theme encourages our Young Women to pay attention to their innergrams (their inner-selves) and their relationship with Christ. 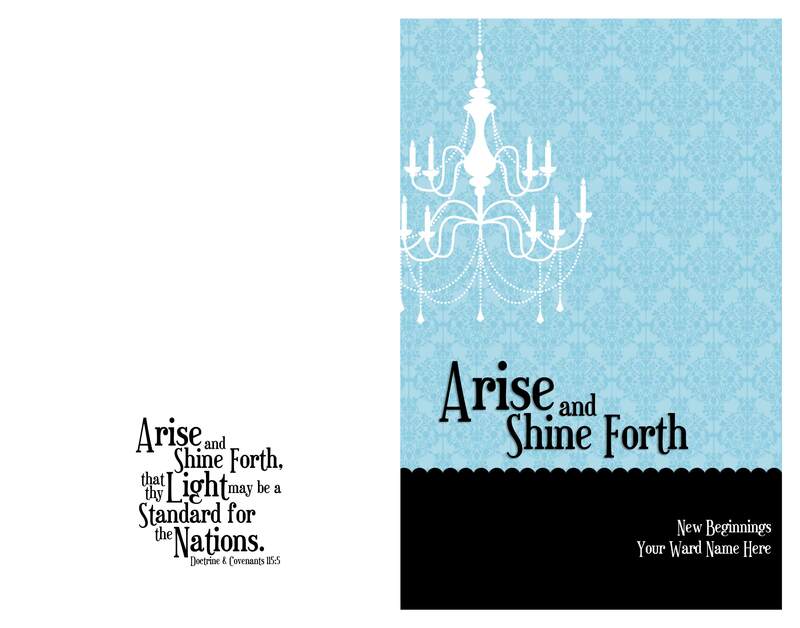 All of my printables come in both blank and 2014 Mutual Theme versions so you can adapt them to any scripture or theme you desire. My very popular 2014 Personal Progress Calendar inspired me to create some coordinating printables. 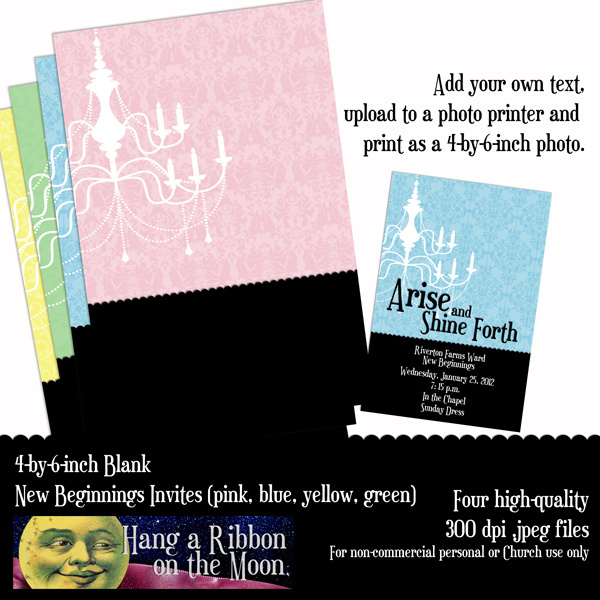 In case you missed them, I’ve already posted matching 4×6 and 5×7-inch Photo Invitations and Program Covers. I’m thrilled to add logos to the collection! Mock-up of the Young Women in Excellence version with flowered background. The editable PDF has text fields for your ward name and event on the front and a text field for a scripture or theme on the back. I put the 2014 Mutual Theme there as an illustration, but you can put anything (or nothing) there. 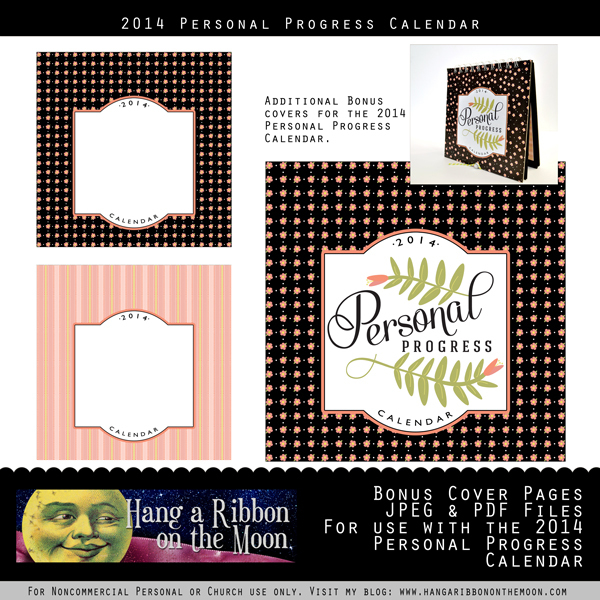 Yesterday, I posted my Personal Progress Calendar Coordinates Invites which go with my 2014 Personal Progress Calendar. Today, I’d like to present my matching program covers! 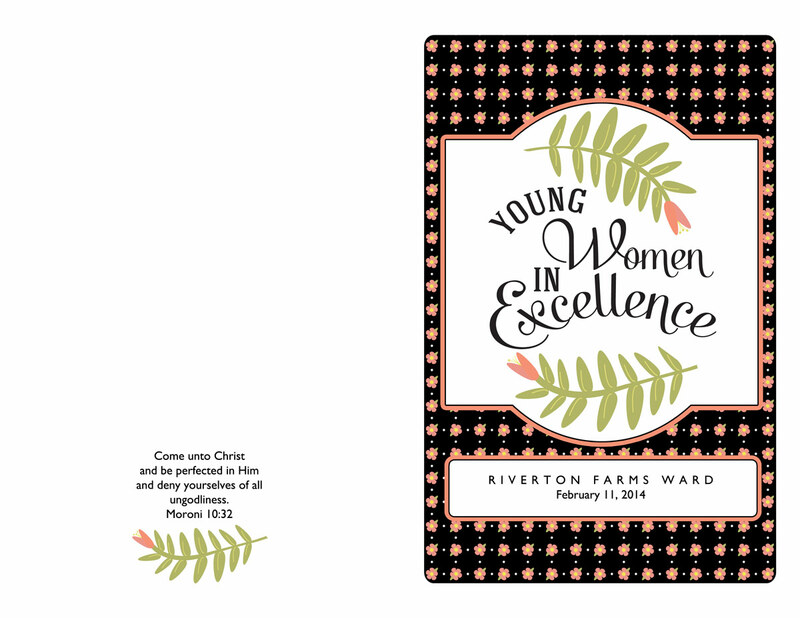 Use one of these program covers for New Beginnings, Young Women in Excellence, or any other occasion–I’ve included blank versions as well as those for YW events. 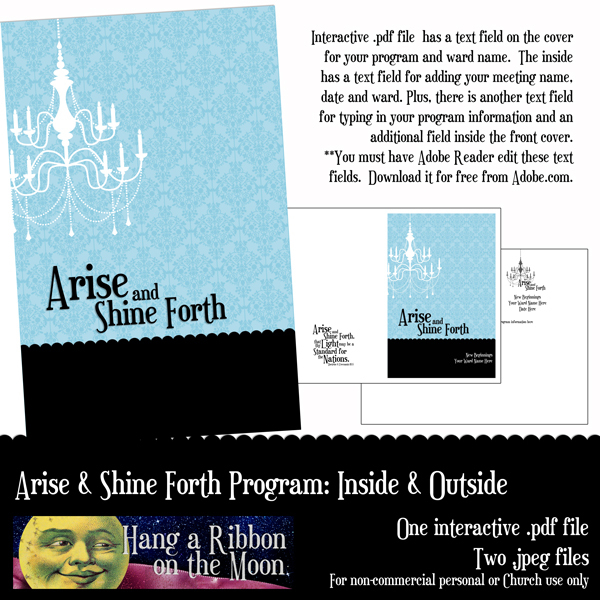 Each program cover (NB, YWIE or blank) comes in three different backgrounds: black, striped or flowered. My much-requested owl printables updated with the 2013 Mutual Theme are here! 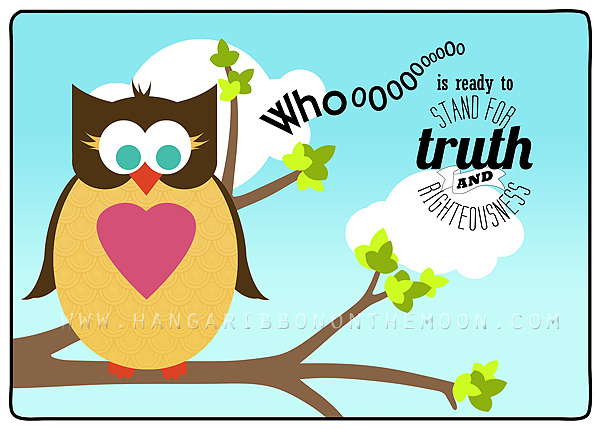 Many readers asked that I change my Whooo Is Ready to Stand for Truth and Righteousness printables so they could use them for their upcoming 2013 events. Featuring ever-popular owls, this adorable theme is perfect for New Beginnings, Young Women in Excellence, girls camp or Activity Days. With the help of my printable program covers, name plates, tags, invitations and posters, you’ll be able to craft an event your girls will love! 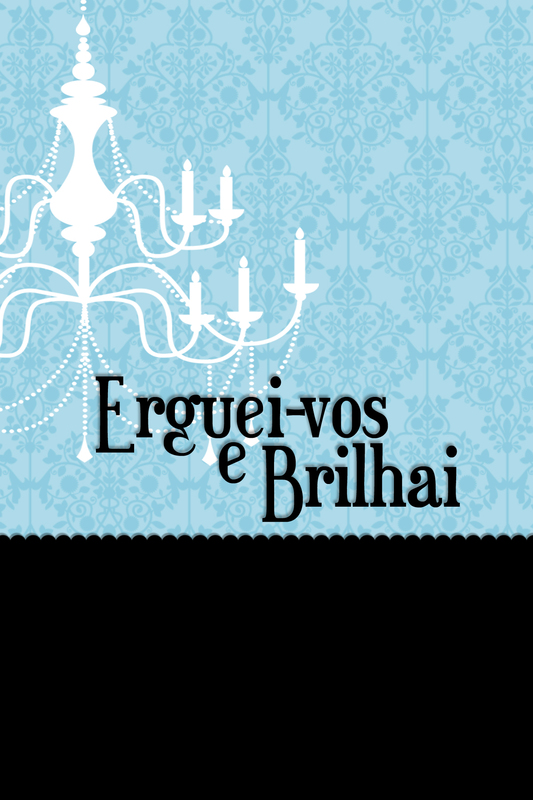 I received a comment from Heather asking if I could do my New Beginnings Invite in Portuguese or create one without the logo in English so she could do her invites in own in her language. I was thrilled to do the invite in Portuguese for Heather AND to offer you some variations on the original. 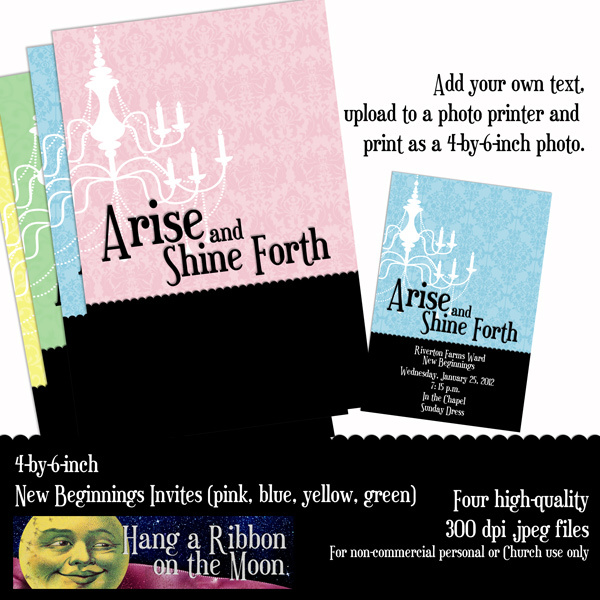 I’ve redesigned my invites with additional backgrounds to the original blue: pink, green and yellow, which compliment my 2012 Mutual Theme calendars. Plus, I’ve provided you with a download of my invite in all four colors without the 2012 theme–they are totally without text! Now, you can use these invitations for a whole lot of other occasions: Young Women in Excellence, Activity Days, Relief Society activities, wedding showers, birthday parties–any occasion you want to create a four-by-six-inch photo-print invite! Add your text. 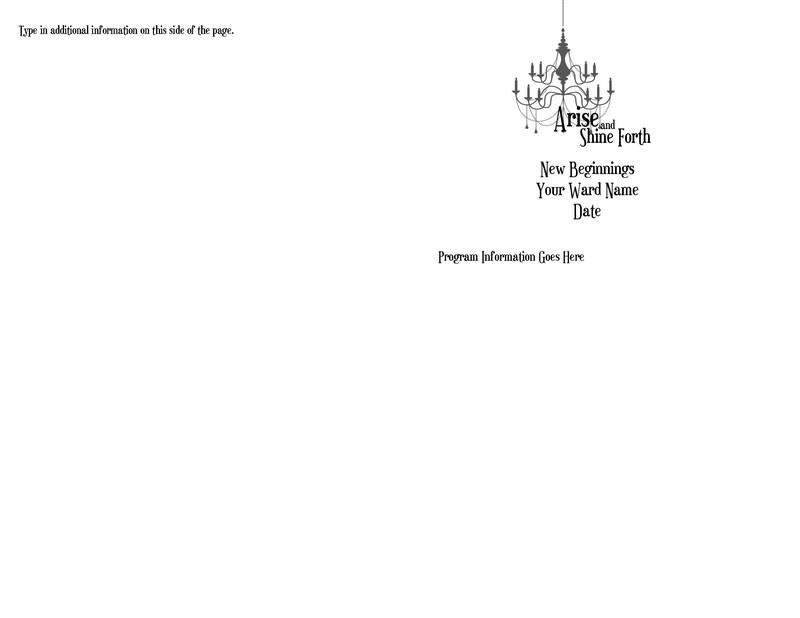 Note: If you want to put something on the black area of the invite, be sure you change your text color to white. Save your file as a high-quality .jpeg file. Upload your file to your favorite online photo processor. I prefer Costco.com or Shutterfly.com. If you use Costco, DO NOT use their quick uploader. Go with the high-resolution upload, which will take longer, for best printing results. You will love the quality of a photo-print invitation and your guests will be impressed, too! Remember, all of my downloads are for non-commerical personal or Church use, only! Please, don’t share my files with others. 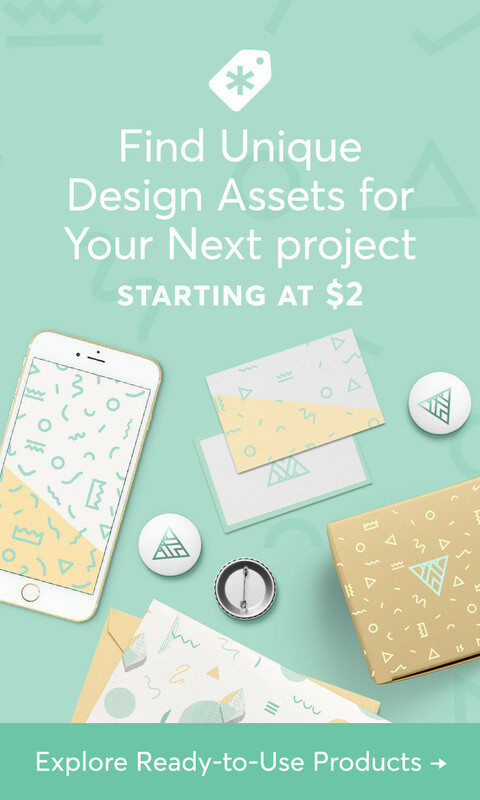 Simply send them here to download their own. Download my 4-by-6-inch invites WITH 2012 Mutual Theme here. 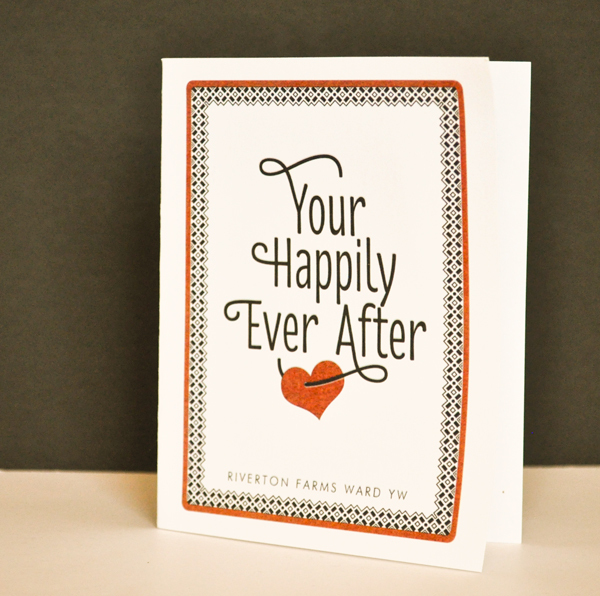 Download my 4-by-6-inch BLANK invites here. Download my 4-by-6-inch New Beginnings invite in Portuguese here. 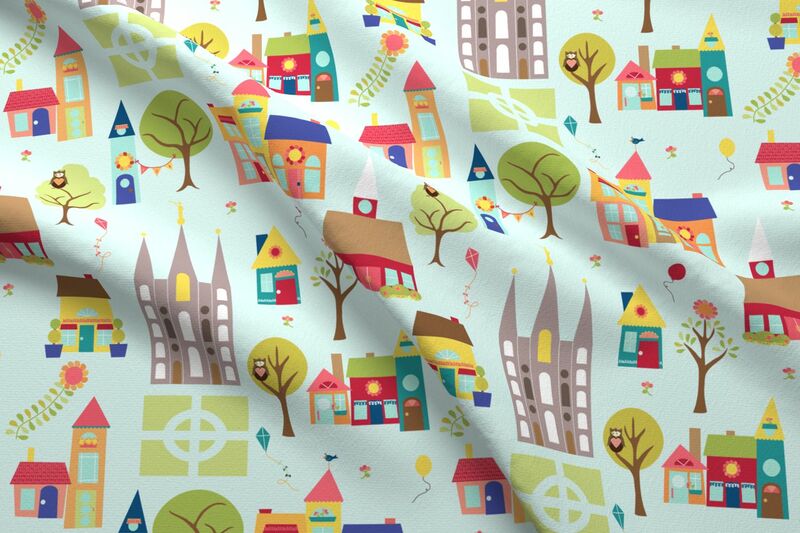 I have some really exciting projects coming soon! Don’t miss a post by subscribing to my blog! I love my followers!